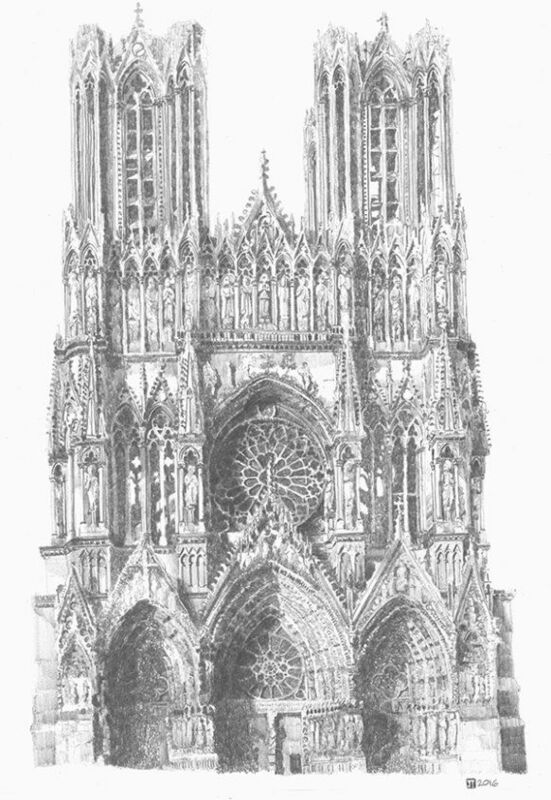 Drawing of Reims Gothic Cathedral west facade. Gothic cathedrals were on the whole inward looking buildings, with the conscious architectural effect concentrated on the interior. The principal exception is the west front, the public face of the church. In France the west front often reflected the interior arrangement, the nave and the side aisles with the emphasis on the three portals with a pair of towers placed over the western bays of the aisles.